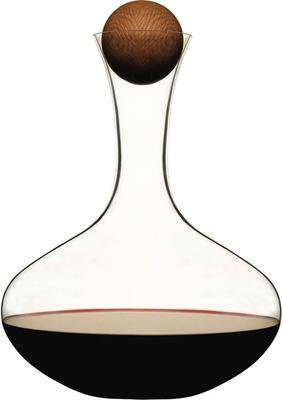 Those who love minimal elegance will adore this beautiful Sagaform Wine Carafe with Oak Stopper. It is elegant and quite unique. 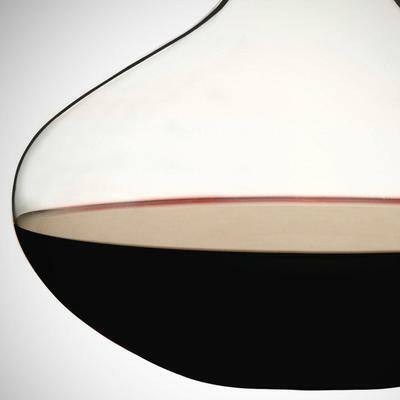 Gorgeously designed, the bottle shape easily complements your choice of selected wine. 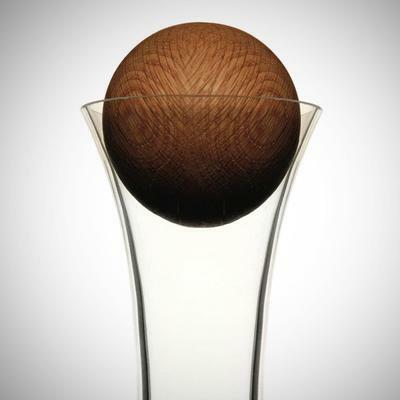 It comes with a round pure oak stopper which preserves the aroma and looks absolutely stylish. 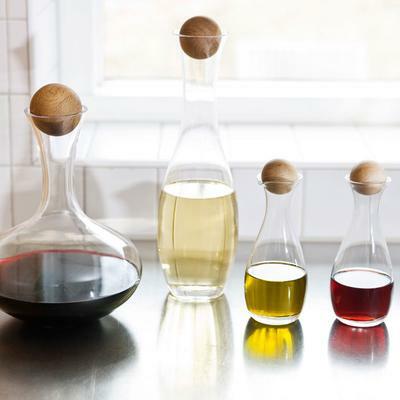 You can use this as a table centrepiece or maybe grab a few and fill it with colourful liquids around the kitchen like olive oil, vinegar or anything else. They work great as storage and of course as decor. Purchase this for yourself or maybe give it away as a present. Anybody who adores form and function will love this one. Sagaform is a leading brand focused on developing, distributing and promoting Nordic design. Their products are developed by top designers following the region's design traditions. Every product showcases their innovation and brings delight whether for the kitchen or the table, within the home and outdoors. Sagaform is part of the expanding New Wave Group AB, along with Orrefors Kosta Boda, Sea Glassworks, Craft and Seger.